Attractions: Mungo National Park, Great Darling Annabranch, Two Rivers Junction, Coomealla Golf Course, Darling River, Murray River, Old Wentworth Gaol Museum, Perry Sand Hills, Wentworth Tractor Rally, Australian Inland Botanic Gardens, Lake Victoria, Loch 10 & Weir, Paddle Steamer Ruby Wentworth. 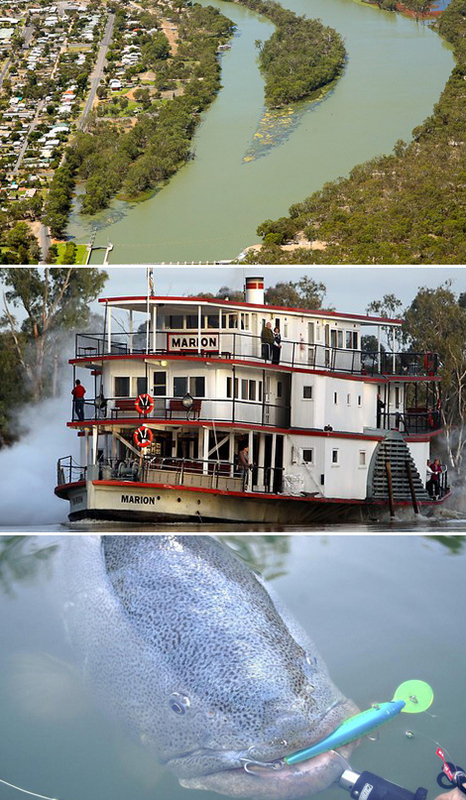 Wentworth is located at the confluence of the Murray and Darling rivers in far south-western New South Wales. It was founded as a river port in the early 1850s and by the late 1870's it had become the busiest inland port in Australia. The Wentworth Pioneer Museum has more than 3,000 exhibits including the fossilised remains of Australian mega fauna that became extinct around 20,000 years ago. Wentworth is also a good base for visits to Mungo National Park. From Wentworth, you can cruise the waterways on a riverboat tour or wander along self-guided heritage trails. There are also numerous activities on offer, ranging from golf and water sports, through to hiking, camping and fishing. www.visitnsw.com/wentworth - NSW Destination Information. www.wentworth.nsw.gov.au - Local Council Website.